New Hanover County Public Library will celebrate the grand opening of its new Story Park with a ribbon cutting and a morning of kid’s activities on Tuesday, October 18. 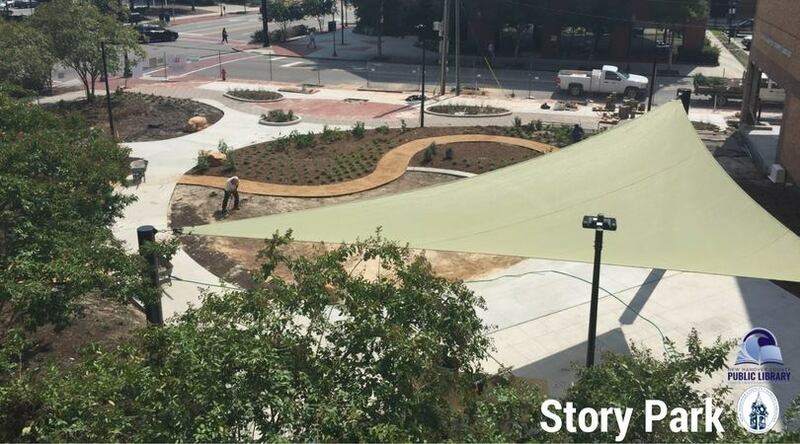 The ribbon cutting will take place at 9:30 a.m. and activities will follow in the Library’s Story Park, located next to the Main Library at the corner of Third and Chestnut Streets. Story Park will extend the library experience outdoors, featuring hands-on learning for all ages with four demonstration gardens, giant musical instruments, a Story Walk, and a life-sized chess and checker board.